Expanded to include EMDR Therapy with infants to adolescents, this updated and revised manual the only resource of its kind--accompanies the new second edition of the widely praised foundational text, EMDR and the Art of Psychotherapy with Children. The manual distills simple and practical ways to employ EMDR Therapy scripted protocols and forms downloadable for immediate use--to effectively utilize the entire EMDR therapy eight-phased treatment with infants, toddlers, young children, preteens, and teens from a developmental perspective. It is organized in accordance with the book and provides step-by-step directions, session protocols, scripts, and forms for each phase of the protocol, along with instructions for integrating techniques and tools from play, art, sand tray, and other helpful therapies. The manual mirrors revisions to the text including changes to the phases of EMDR Therapy and target identification, and the integration of developmental theory into EMDR Therapy for use with infants to adolescents.. Additional revisions include coverage of new specialties and updated protocols, the presentation of breakthrough narrative concepts, new resources and scripts, guidance for the use of EMDR Therapy with specialty populations, and new case studies of infants, toddlers, pre-teens and adolescents. The manual will greatly assist therapists in their goal of providing best practices for children in need of expert psychotherapy. Includes updated scripted protocols and forms that are downloadable for immediate use Integrates developmental theory into the eight phases of EMDR Therapy for use with infants, toddlers, preschoolers, children, preteens, and adolescents Highlights that describe additional specialties and protocols Includes breakthrough narrative therapeutic concepts to use with young children Provides new resourcing and other scripts for teaching children affect management Integrates play therapy and other expressive techniques for use with any age client Guides therapists in using EMDR Therapy with specialty populations Presents case studies of EMDR Therapy use with infants, toddler, preteens and adolescents Revises phases of EMDR Therapy for history taking, case conceptualization, and treatment planning Offers updates for cognitive interweaves and other tools for blocked processing and client resistance to EMDR Therapy. 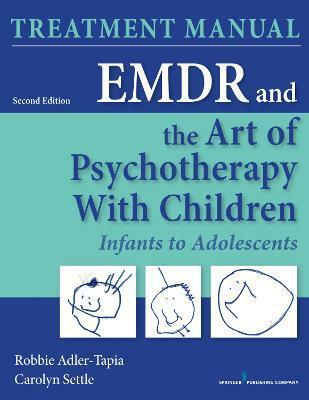 Comprises the only manual available to help therapists to use EMDR Therapy with children ranging from infancy to adolescence Organized in accordance with the accompanying text Includes step-by-step directions, session protocols, scripts, and forms for each phase of the protocol Provides instructions for integrating techniques and tools from play, art, sand tray, and other helpful therapies Facilitates the skills from basic to advanced needed for best practices "